이지적이고 섬세한 해석력, 따뜻하면서도 화려한 음색으로 청중을 매료시키는 비올리스트 에르완 리샤는 프랑스 파리 제 7대학에서 문학과 수학을 전공하던 중 음악에 대한 열정으로 전공을 선회하여 파리 국립 고등 음악원에 진학, Jean Sulem (비올라) 교수와 Pierre-Laurent Aimard, Jean Guihen Queyras(실내악) 교수에게 사사하며 최우수 성적으로 졸업한 이후 Tabea Zimmermann, Serge Collot 에게 가르침을 받았다. 이후 독일 프라이부르크 국립 음대에서 베를린 필의 비올라 수석을 역임한 Wolfram Christ를 사사했으며, 뮌헨 국립 음대에서 Christoph Poppen, Walter Nothas에게서 실내악 최고연주자 과정을 밟았다. 깊고 폭넓은 지식과 참신하면서도 예리한 아이디어, 뛰어난 연주력과 감성으로 이미 국내의 음악계에서 주목을 받으며 주역으로 자리매김하고 있는 그는 일찍이 유럽 무대에서 오스트리아 인스브루크 심포니 오케스트라, 독일 가우팅 앙상블 오케스트라, 프랑스 카메라타 알라 프란체제 오케스트라 등과 협연하여 독일의 권위 있는 주요일간지 쥐드도이체 짜이퉁 등 유수 언론의 극찬을 이끌어냈으며 특히 리투아니아 빌니우스 뮤직 아카데미 심포니 오케스트라와의 협연은 리투아니아 전역에 TV로 생중계 되어 주목 받았다. 국내에서도 바로크 챔버 오케스트라, 카메라타 마드리, 앙상블 유니송, 화음 쳄버 오케스트라 등과 협연한 바 있다. 파리 국립고등음악원 재학 중, 클라우디오 아바도의 말러 오케스트라 멤버로서 3년간 유럽, 미국, 남미 등지에서 연주하며 단단한 토대를 쌓은 그는 이후 2년간 독일 바이에른 방송 교향악단의 아카데미 단원을 역임하였다. 후에 유럽 내 최고의 실내악단으로 쌍벽을 이루는 Chamber Orchestra of Europe과 Mahler Chamber Orchestra, Orchestre National de France, Bayern Staatsoper의 초빙 단원으로 활동하였으며, 런던 필하모니아 오케스트라의 부수석, 뮌헨 심포니 오케스트라, 루엔 오페라 오케스트라, 싱가폴 심포니 오케스트라의 수석 주자로 초대되었고, 오스트리아의 인스브루크 심포니 오케스트라의 종신 수석을 역임하였다. 이를 통해 클라우디오 아바도 뿐 아닌 세이지 오자와, 버나드 하이팅크, 피에르 불레즈, 리카르도 무티, 로린 마젤, 마리스 얀손스, 구스타보 두다멜 등 수많은 거장들과 연주하며 최상위 오케스트라 연주자로서의 입지를 다졌고, 국내에서도 KBS 교향악단의 객원수석으로 수년간 활동한 바 있다. Cassis String Trio 멤버로서 독일 바이에른 방송국에서 수차례 레코딩하였고, 각광받는 실내악 주자로서 조엘 스미르노프, 로렌스 레써, 토마스 브란디스, 게오르그 파우스트, 크리스티나 비앙키, 고띠에 카퓌송, 르노 카퓌송 등 거장들과 다수의 실내악 연주회를 가졌다. 현대음악에도 깊은 조예를 지녀 파리 국립 고등 음악원 재학 중 창단한 Ensemble Cairn은 현재 유럽 무대에서 주요 현대음악 앙상블 단체로 자리매김하고 있고, 거장 피에르 불레즈가 이끄는 최고의 현대음악 앙상블 Ensemble Inter Contemporain에서 정기적으로 연주와 레코딩을 함께 하였다. 도이체 그라모폰과 나이브, EMI, 프랑스 뮈지크 등에서 음반 작업을 한 바 있고, 국내에서도 많은 한국 작곡가들의 현대음악을 소개하고 초연하는 등,유럽과 한국을 오가며 활발한 연주활동을 펼치고 있다. 청중에게 아름다운 비올라 음색을 전하고자, 마랭 마레, 앙리 뒤파르크, 벨라 바르토크, 쟈크 이베르 등 수많은 작곡자의 곡들을 편곡하고 소개하여, 상대적으로 한정되어 있는 비올라 레퍼토리를 확장하는 데에 또한 열정을 기울이고 있다. 현재 국내에서 강남대학교 바이마르 음악학부 교수로 재직하며 비올라와 실내악을 가르치고 있는 그는, 내셔널 비르투오지 수석멤버 및 에라토 앙상블, 현대음악앙상블 소리, 코리아나 챔버 뮤직 소사이어티, 화음 쳄버 오케스트라 단원으로도 많은 활동을 펼치고 있다. French violist Erwan Richard has performed extensively throughout Europe and Asia. 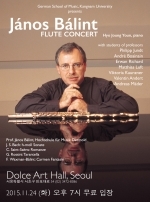 His chamber music partners includes Mihaela Martin, Joel Smirnoff, Lawrence Lesser, Thomas Brandis, Georg Faust, Daejin Kim, Kyung Sun Lee, Ik-Hwan Bae, Renaud and Gauthier Capucon, Aleksandar Madzar. As a soloist, Richard has performed with the Innsbruck Symphony Orchestra, Korean Chamber Orchestra, Hwaum Chamber Orchestra, Camerata alla Francese, Lituanian Music Academy Orchestra, Madri Ensemble and Gauting Ensemble under conductors Alexandar Markovic, Kim Min and Jacques Gandard among others. He took part in numerous recordings for Deutsche Gramofon, Emi, Naive, France Musique, Bayerische Rundfunk and Korean Broadcasting System. After being a member of the Bavarian Radio Symphony Orchestra Academy, Erwan Richard played as Sub-Principal Violist with the Philharmonia Orchestra in London before becoming first Principal Violist of the Innsbruck Symphony Orchestra. He has also appeared with major European orchestras including Chamber Orchestra of Europe, Mahler Chamber Orchestra, Orchestre National de France, Bavarian State Opera, among others. On many occasions he has played with conductors including Claudio Abbado, Bernard Haitink, Mariss Jansons, Lorin Maazel, Pierre Boulez, Riccardo Muti, Gustavo Dudamel and Yannick Nézet-Séguin. He is regularly invited wordwide as guest principal by orchestras such as Munich Symphony Orchestra, Rouen Opera Orchestra, Singapore Symphony Orchestra, KBS Symphony orchestra, Daejeon Philharmonic orchestra. His passion for contemporary music has led him to perform frequently with the Ensemble Intercontemporain and the Ensemble Cairn, and he has worked with major composers such as Pierre Boulez, Peter Eötvös, Jérome Combier, Beat Furrer, and Vinko Globokar. He has premiered many solo pieces by major Korean composers including Jiesun Lim, Changwon Park and Kyu-Yung Chin. Since 2007 Erwan Richard is Professor for Viola and Chamber Music at the German School of Music Weimar at Kangnam University, South Korea. He is frequently solicited to give masterclasses in major universities in Korea and abroad. Willing to develop the viola repertoire, he has published arrangements for his instrument of works by Marin Marais, Henri Duparc, Bela Bartok and Jacques Ibert. Erwan Richard is currently a member of the Koreana Chamber Music Society, of the Sori Ensemble , Hwaum Chamber Orchestra, and Erato Ensemble. Erwan Richard graduated from Conservatoire National de Musique in Paris, where he studied viola with Jean Sulem and chamber music with Pierre-Laurent Aimard and Jean Guihen Queyras. He subsequently moved to Germany to study viola with Wolfram Christ in Freiburg in Breisgau and Chamber Music in Munich with Christoph Poppen and Walter Nothas.